Oklahoma native Tyson Meade has fronted not one but two influential bands. In the ’80s he fronted cult band Defenestration (Kurt Cobain counted them as an influence on Nirvana), and got more attention in the ’90s with the glammy Chainsaw Kittens (Iggy Pop and Smashing Pumpkins were fans). 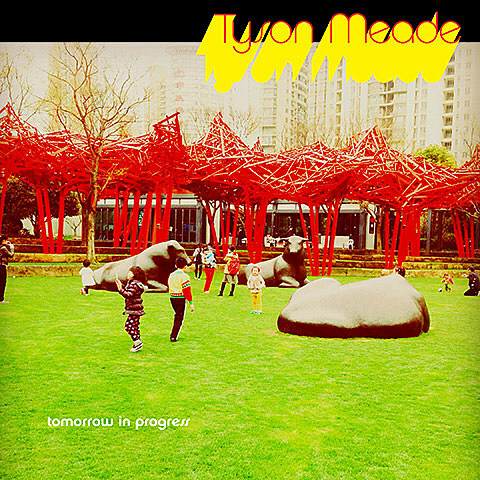 In the ’00s, Meade laid low, teaching in English in China and making two solo albums. Meade returns with a little more fanfare for his third solo album, Tomorrow In Progress, which will be out May 20. 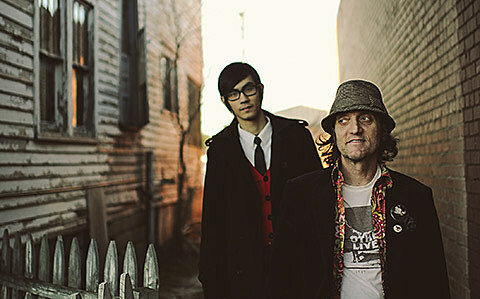 Working with one of his former English students — a violin prodigy named Haffijy — the record also features appearances from Jimmy Chamberlin (Smashing Pumpkins), and members of Flaming Lips, Stardeath and White Dwarfs and his old Chainsaw Kittens bandmate Trent Bell mixed some of the songs. We’ve got the premiere of the album’s lead track track “Nihilists Need Love Too,” which shows his glammy spirit — and famed vocal range — intact. You can pre-order the album now which gets you an instant download of that song. Stream “Nihilists Need Love Too,” below….